Digital technologies have transformed cultural perceptions of learning and what it means to be literate, expanding the importance of experience alongside interpretation and reflection. Learning the Virtual Life offers ways to consider the local and global effects of digital media on educational environments, as well as the cultural transformations of how we now define learning and literacy. While some have welcomed the educational challenges of digital culture and emphasized its possibilities for individual emancipation and social transformation in the new information age, others accuse digital culture of absorbing its recipients in an all-pervasive virtual world. 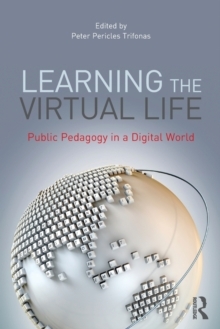 Unlike most accounts of the educational and cultural consequences of digital culture, Learning the Virtual Life presents a neutral, advanced introduction to the key issues involved with the integration of digital culture and education. This edited collection presents international perspectives on a wide range of issues, and each chapter combines upper-level theory with "real-world" practice, making this essential reading for all those interested in digital media and education.